Need a dozen or more bagels? Please call ahead to confirm flavor availability and arrange pickup time. In a hurry? Call ahead! Call or fax your order and we'll have it ready for pickup when you arrive! 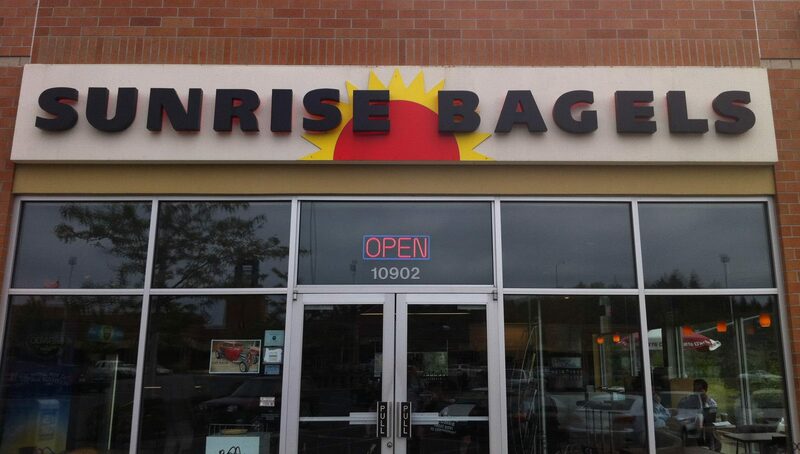 Sunrise Bagels Beaverton has been proudly serving the Northwest's Best Bagels since 1998! Saturday, April 27th at 1pm. Open daily for breakfast, brunch, and lunch! Call ahead for dozen+ bagel orders! *Please follow your fax with a phone call to the store to confirm receipt of your FAX order. Thank you! Locally owned and operated since 1998!